Bathrooms & Kitchens & Floors - Oh My! To refresh your memory...This 20+ year old home in Johns Creek, Georgia is undergoing a neutral, practical and beautiful remodel in preparation for sale in the not so distant future. 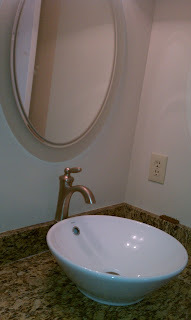 See how the home looked before, and how it looks today - nearly complete! Changing or redoing flooring in a home is a dramatic change. Replacing carpeting, or adding or redoing hardwoods is something many buyers look for when thinking about putting an offer on a home. Everyone loves the idea of moving into a "new" home in an established neighborhood! Though a little dark, you can see the dramatic new tile in this bathroom makes a real statement without a terribly large investment! The cabinets are drying! 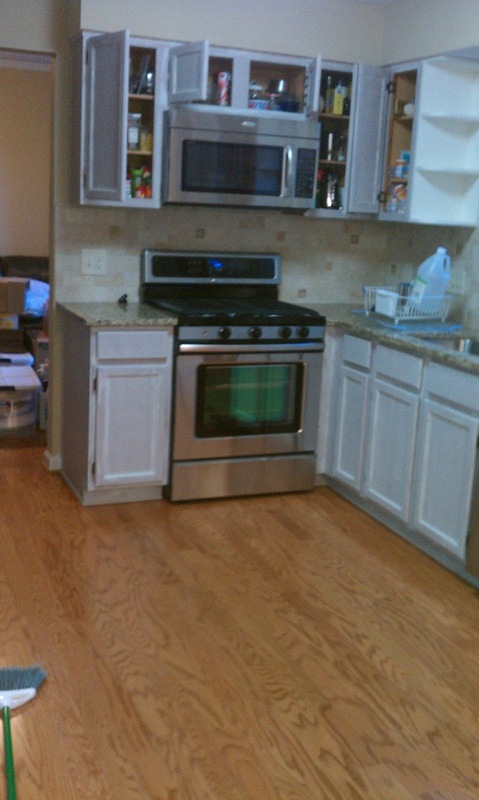 After receiving their first paint, the cabinets are already changing the look of this kitchen. Look what that classy backsplash does to change the whole feel of this kitchen! 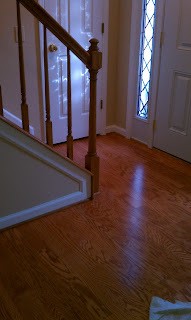 And how about the wood floors? What an improvement! At the owner's request, the vessel sink was installed as such. Would you anticipate such modern flair in an older home? 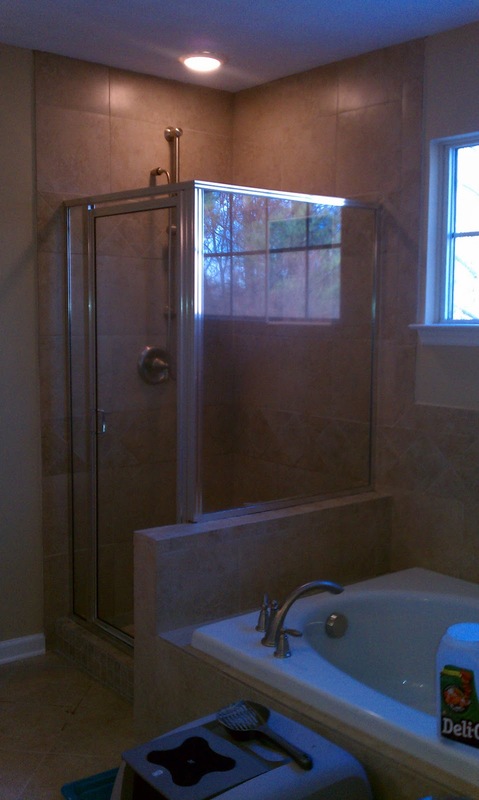 Excellent, practical selections will let the new owner build on a upscale neutral palette.